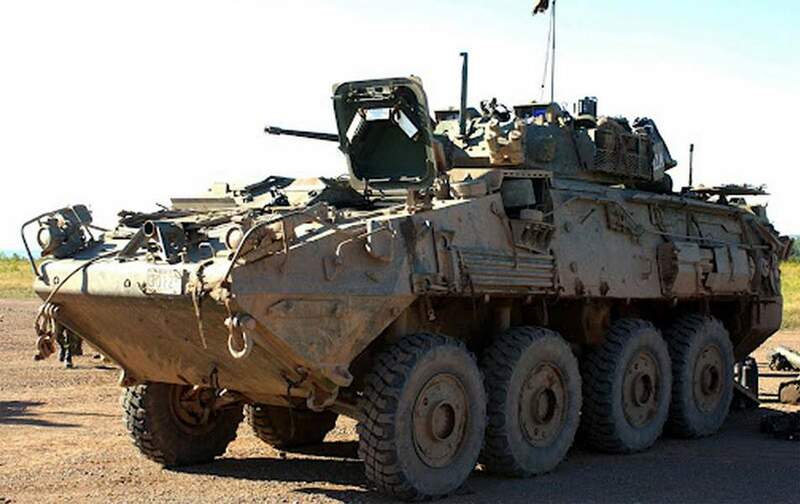 The LAV III armoured vehicle (AV) is the latest in the Generation III Light Armoured Vehicle (LAV) series built by General Dynamics Land Systems, entering service in 1999. It is based on the Swiss MOWAG Piranha IIIH 8x8. It was developed in Canada and is the primary mechanized infantry vehicle of the Canadian Army and the New Zealand Army. The United States Army uses a more lightly armed LAV III derivative named the Stryker.